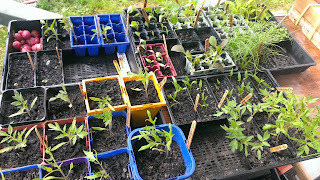 I can only think that my seedlings of eggplants, tomatoes, capsicums and other summer crops that are being raised on the verandah are shivering as well ... I hope they survive the day! But back to the purpose of the post - the harvest of the week. Here is this morning's pickings gathered with numb fingers. The strawberries haven't lasted long being consumed over breakfast. There is still fennel and broccoli coming in although the fennel has now finished. 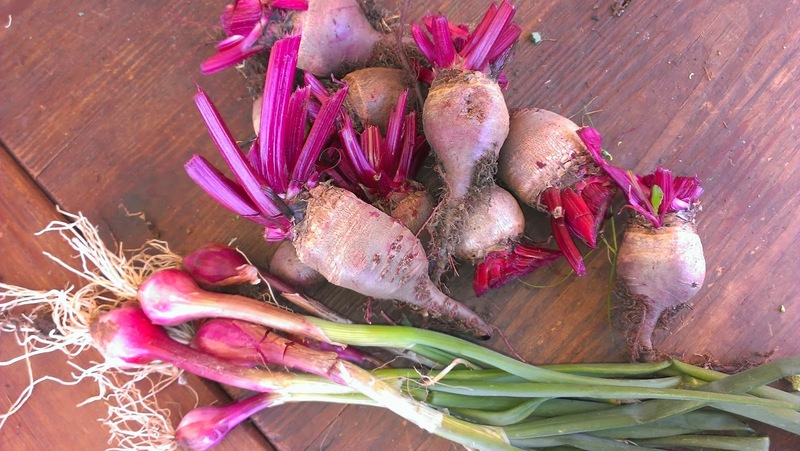 There has been beetroot, and a couple of dud onions I found lurking in a bed that has been dismantled. 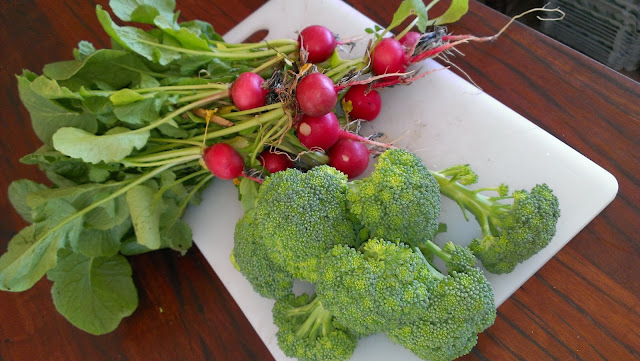 There have been radishes and more broccoli, broccoli, broccoli. A trickle of snow peas continue to come in enough with the broccoli for fantastic stir fries with tofu made by The Lad. 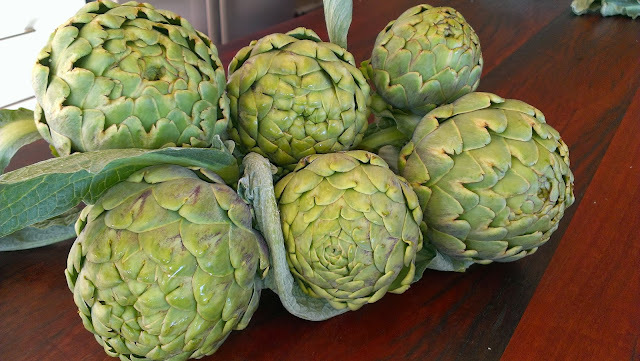 And last but not least , I have been the welcome recipient of a clutch of artichokes from my neighbour Woody. I love other people's gluts! That's been my week in vegetables, how's yours been? I am contributing this harvest post to Daphne's Harvest Monday. 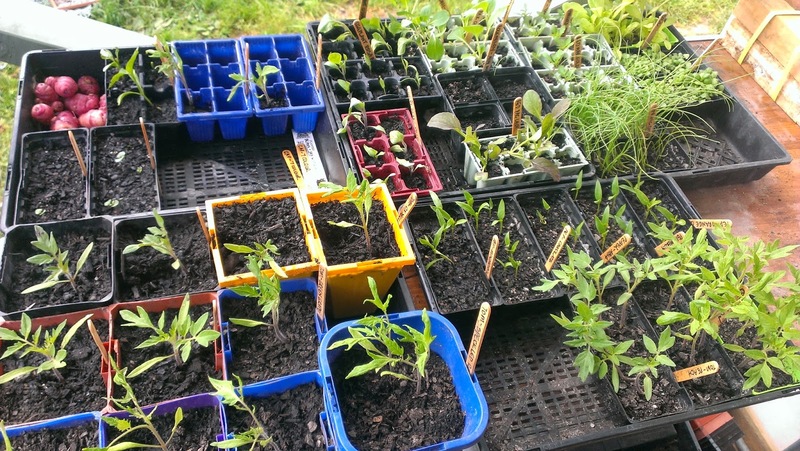 When the world turns a little more her blog will profile harvests from others' gardens. Ah, finally, the sun has broken through the cloud. It's still 3 degrees Celsius but at least there is sun on my back! It may be difficult to believe, but I am suffering from broccoli envy! You are getting such a delightful range of food, despite the colder temps. How I wish I lived next door to Woody! Oh thank you, I must say I am buying hardly any veg. 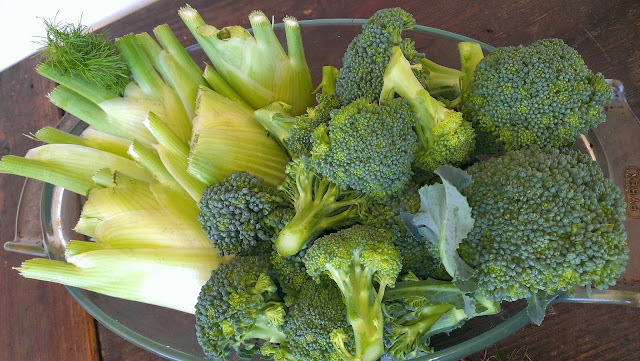 You know even though I have had broccoli all the way through winter, I am still not sick of it. It is so special when it is very fresh that you can eat it (almost) every day. I am looking forward to exchanging more produce with the neighbours. That's a great harvest! I love the broccoli, too. My middle daughter just Loves broccoli. And our family never tires of it, especially fresh from the garden. Hasn't it been cold the last day or two? The forecast for next weekend is a lot better down here - hopefully for you too. Lovely variety of harvest for you this week. 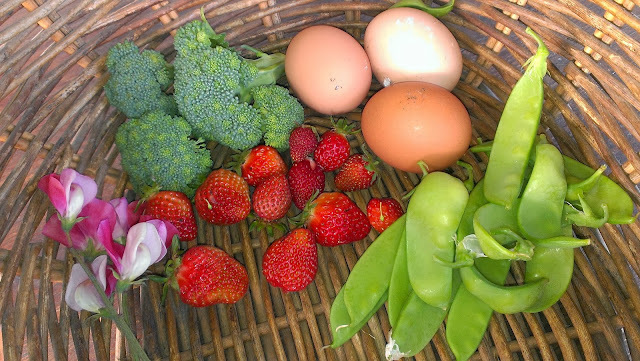 Your spring vegetables look great, the strawberries look luscious. 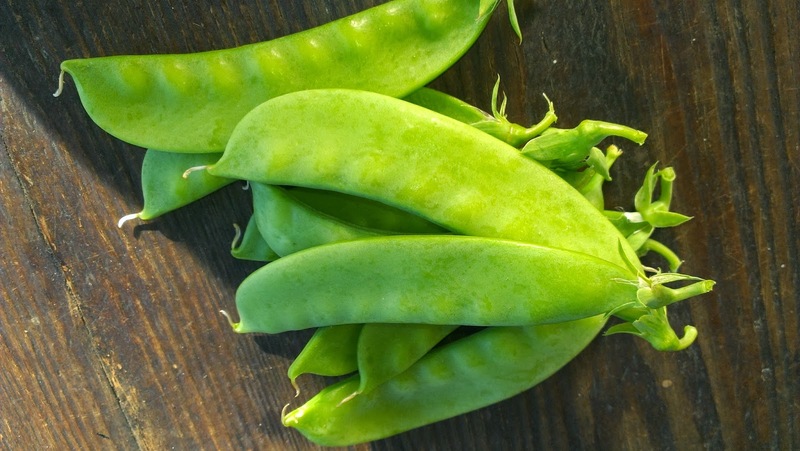 Your snow peas look good too, if weather permits I may get some from a late summer sowing. I'm getting into cool season vegetables like Kale and Turnips. I always feel a little guilty that I do NOTHING with my artichokes, though I have the best intentions. At least they do look rather striking when they flower, so not a complete bust. One blew over in recent winds so I lost quite a few mature buds. At least I can't feel guilty about that - not my fault!